The Lion King roars again ! 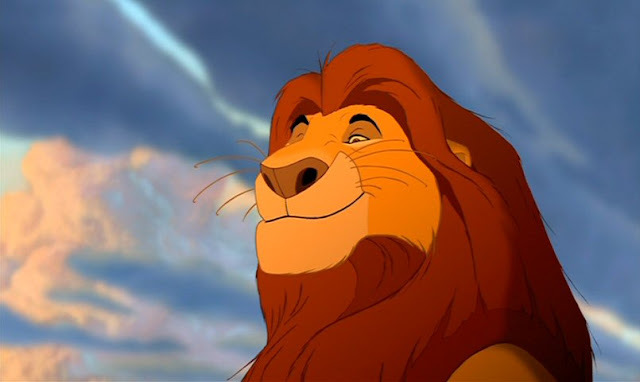 I have to say that as someone who worked on this film (along with my Academy of Art colleagues Sherrie Sinclair and Diana Coco-Russell) I think we’re all feeling a bit of pride (pun intended) in the fact that The Lion King was again the #1 Film at the Box-office in the U.S.A over this past weekend . It took in close to $30 million dollars over the three days (which is nearly twice what industry analysts had projected) . If you haven’t seen it yet go see it now while you have the opportunity to see it on the Big Screen (as it was intended to be seen !). It’s actually playing in some theaters in conventional “flat/2D” projection, so if 3D projection is not your thing you can see it in it’s original form. So now the debate starts: Is it successful because it is “3D-ized 2D” film and the only way for hand-drawn animation to succeed in a big way at the box-office it to jump on the 3D bandwagon, or does common sense tell us that it is successful because a compelling, well told story with appealing characters and top knotch animation will always be a success whether it’s done in hand-drawn , computer, or stop-motion ? (I say the latter is the rule , despite some notable exceptions that should have been hits, but were not , like The Iron Giant). “Is this trip really necessary”? No. 3-D adds nothing new to the greatness of Disney’s Lion King. This entry was posted in Andreas Deja, hand-drawn animation, pencil tests, Scar, The Lion King, traditional animation. Bookmark the permalink.